This belt buckle is designed for hand craft experts and gifted amateurs who either make or repair belts and straps and are looking for unusual buckles as finishing touches. 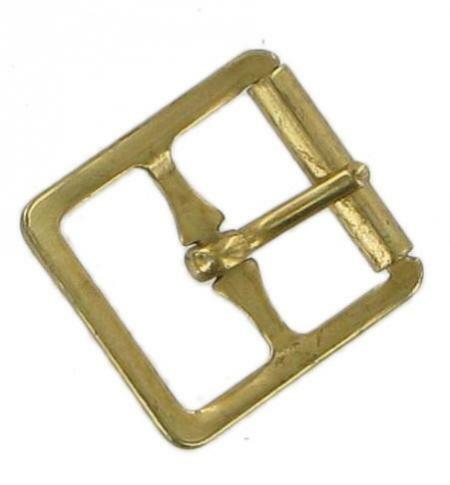 This is a brass plated steel roller buckle suitable for 23mm wide leather straps. It is very strong (sometimes being used for girths) and its polished finish has aged during the 40 or so years it has been in our saddler's workshop.